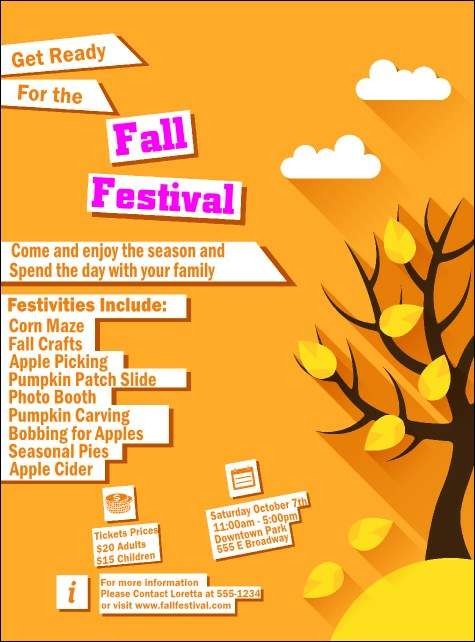 Promote the changing of the seasons when you post the Fall Cut Paper Flyer before your next autumn festival. These beautiful flyers include 26 lines for your event information, all on a backdrop of gorgeous golds and oranges. The bright pink text pops on this stunning design.